trogu.com: News News Reverb: Notes on Design. 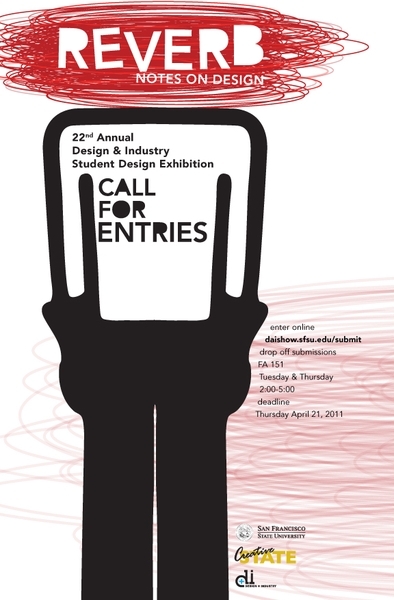 Call for entries. Reverb: Notes on Design. Call for entries. Follow the progress of this year's exhibit design class. Visit the blog and the website and don't forget the opening night: Wednesday, May 11, 2011 at 6PM in Jack Adams Hall, Cesar Chavez Student Center, San Francisco State University. 1600 Holloway Avenue, SF, 94132.